It's not just the books. Jack of all trades, master of some. That's my own assessment of a life where I've tried many things, done well in a few, failed in a few, but generally kept my head above water in this fast flowing river of life. Now, I'm in calmer waters, having joined that band of retirees who can choose when to get up in the morning. Most days, anyway. This website showcases some of my writing and some of my images and is a fluid selection, changed at the occasional whim to provide new works or older, but previously unseen material. So, more may be added, a few items may disappear and maybe the style will change as it grows organically; for that's the serendipitous way I tend to do things. As for my background, click the button below for a brief resumé. 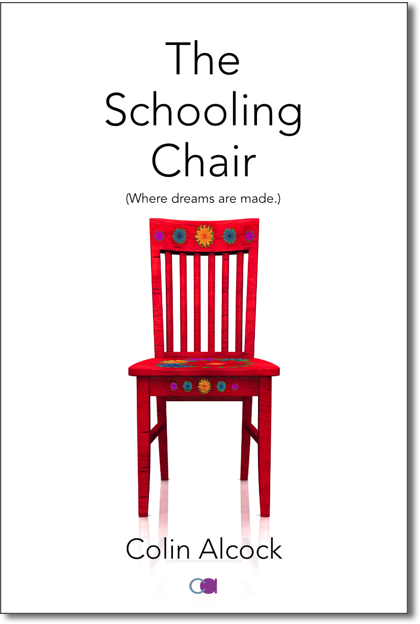 The Schooling Chair is the place where dreams are made, futures born and the world opens up its treasures. This compilation of short stories and flash fiction does much the same, reaching to every corner of emotion, spanning time and place; even taking you to the far reaches of the universe; and beyond earthly knowledge. Whatever genre you favour, you will most likely find a story in here to swell your soul, but read on beyond that and you will find that there is so much more to discover, conveyed to your imagination through brief encounters with other lives, other views; some to make you smile, some a little sad, some to make you think awhile. One old wreck deserves another. 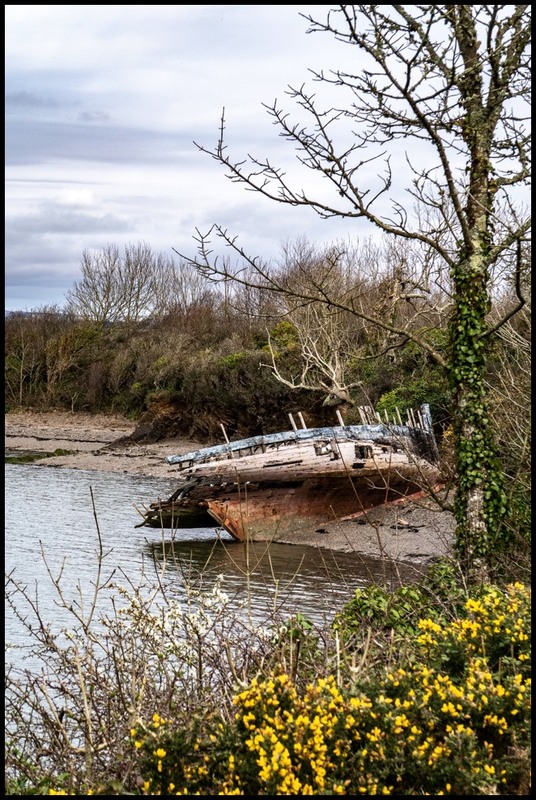 I found this old tub on a walk along the Camel Way between Wadebridge and Padstow in Cornwall, tide still coming in. Like me, it has seen better days, but at least I'm still mobile! 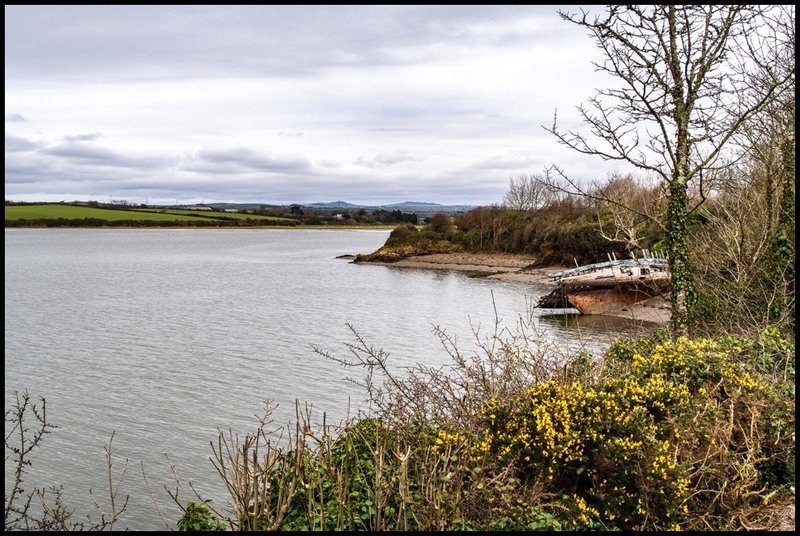 The River Camel close to high tide tide as it flows in over the mud banks. a quiet pathway for cyclists and walkers, only. Paul Hewitt believed he had found the perfect partner in Giules Franciotti, unaware of the missions that she and her feisty sister, Maria, kept secret from him - until he, too, was drawn into one, with a disastrous result. 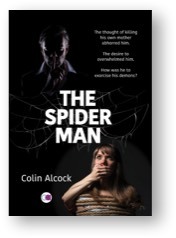 As a consequence, all three lives are threatened before a disastrous finale exposes the truth. A dark plot, but a light read. When Anne Grant invited her son to a Christmas Lunch at Arden Ash, without telling Edna Gray, all she had intended was to show an independence of spirit and less need for the constant guidance offered by her self-appointed mentor. She didn’t expect the kind of interest his introduction would arouse – or that a train of events among her new acquaintances would lead to such tragic consequences. 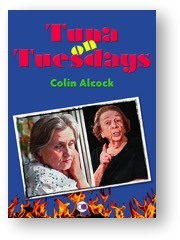 A book for those who like a good page-turner. 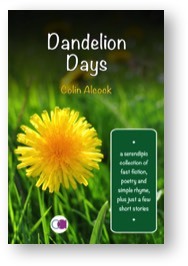 Some see the dandelion as an evil weed, others recall the beauty of a wildflower spread across a sunlit field. 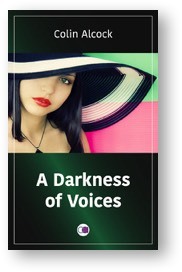 Whichever your point of view, this compilation provides a varied collection of prose, poetry and rhyme to match many a mood. A book that you can dip into at random. The thought of killing his own mother abhorred him. The desire to overwhelmed him. How was he to exorcise his demons? of a detective trying to find her. I thought it was the boys, again. They were at that age where everything was a joke. Both under thirteen; less than two years apart. Tim and Jody. I spot it some way up the garden. Close to the sturdy old lime tree, a relic of the old mansion on which new estate houses now mushroom. It looks back at me, shaded by the tree’s leafy canopy. Just a slight phosphorescent glow about it. Some cheap plastic skull they’d wasted more money on, to scare their little sister Amy; and hopefully me. No way. I close the curtains before settling down to a good night’s sleep and snuggle into my loving Petra. I have a big day tomorrow. An online conference call at nine in the morning, which means an early start to get the kids ready for school, while Petra sorts breakfast, before loading them into the SUV to drop them off. On her way to work. I awake well before the alarm, get straight out and cancel it. Petra stirs. I’ve woken her. Swishing back the curtains, I start. What have the boys been up to? Not just a skull, but now I can see shoulder bones, upper arms and a few ribs proud of the loosely disturbed soil. They really have been wasting money. But no time for japes, this early in the morning. I use the gained time to check the webcam and audio ready for the nine o’clock start. And I wave them all off dressed and breakfasted, by eight-fifteen. It is lunchtime that I next look out, into the garden. The skeleton is now raised enough to show itself right down to mid-thigh. But how? The boys are at school. And they could never afford that much skeleton on the pocket money I give them. It’s time to take a closer look. Striding up the garden I find myself slowing as I come closer to the lime tree. Almost like a wind blowing against me. There is no wind. But there is movement. Bony feet break surface and the skeleton sits upright. Definitely not an affordable boys’ trick. Deep in their sockets, distant blue eyes glow and search my face as I stand rooted to the spot, horror in my pounding heart. Then the force of being drawn forward into a bony embrace, slowly being turned around and the crushing of another’s bones into my body. A blankness of mind, a loss of will and then a force within that explodes with fire, every synapse of my brain transferring new knowledge, wiping out old. I walk back, through the house and out the front door. Down the street I pass neighbours, but give no acknowledgment to their greetings. I have one place to go and it is far, far away. A cemetery in Wales, miles from my Midlands’ town. A promised reunion I can now keep. Yet all seems so strange, the horseless vehicles that I remembered changed so much, the train driven without steam, though the station has remnants of a former glory, despite unnerving sounds and signs. The ticket-master takes nearly all my strange coin, seemingly surprised I pay that way, but I have no chequebook about me. More scares at my destination, as I try to find the streets I knew, but huge thoroughfares plough through the city, and the quiet lane up to the church now proves a river of screaming tyres and head throbbing motors, the like of which are nightmares more than dreams. At last the lychgate and stepping inside I tread the worn paving away from a cacophony that rent my very being. The church is locked; I cannot say a prayer, as I had intended. So, straight to the grave on the river side of the cemetery, where I stop and bow my head. The headstone is worn, leaning forwards towards me, but I read her name. Elisabeth. I have kept my promise to find you, whatever happened to part us. Whatever foul deed your father planned to destroy our love and take you away from me. And sinner though I am, our love was pure and I have served my time in Purgatory, searching for a way back. First to the sapling lime we planted, together, now grown tall and then to surface one last time, to take a body that is not mine, which, in time, I must give back. Then tracing my way to where I stood half hidden by a buttress on the day of your burial. And now I am here to join you. Your father cannot touch us now. He lies in deep soil, never to be discovered, beneath the heavy stone of the viaduct I was employed to help build. The jagged stone that sent him there, alongside his remains. His punishment at my hands. Forgive me, as I seek you, now, beneath this spot and leave my borrowed husk behind. I look up, eyes slowly focusing, as paramedics pump my chest and see that I lie beside a headstone, the name, worn almost away, of Elisabeth Fawcett and another name, quite sharply engraved, Jonathon Webb. I cannot speak to answer the questions fired at me, nor do I know how I came to be here in a place I do not recognise. I only know I am alive and faint memories of family are returning, with names of Timothy and Jody and Amy. And the warmth of arms that once enfolded me. Petra. My rock. It’s two weeks gone and I sit at home encircled by love. Petra has Amy on her knee, Tim plays Minecraft on his tablet and I feel so much stronger, ready again for the world. It is Halloween and a candle lit pumpkin grins toothily out of the window. But where is Jody? The door opens and he rushes in, his skeleton suit tight about his frame. And what I chose to forget, I now remember. But who was Jonathon Webb? For flash fiction, short stories, poetry and more, click or tap your way through the website. 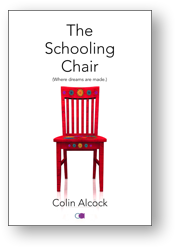 Or explore my latest book: The Schooling Chair – a new medley of short stories and flash fiction available from Amazon as Paperback & Kindle eBook.